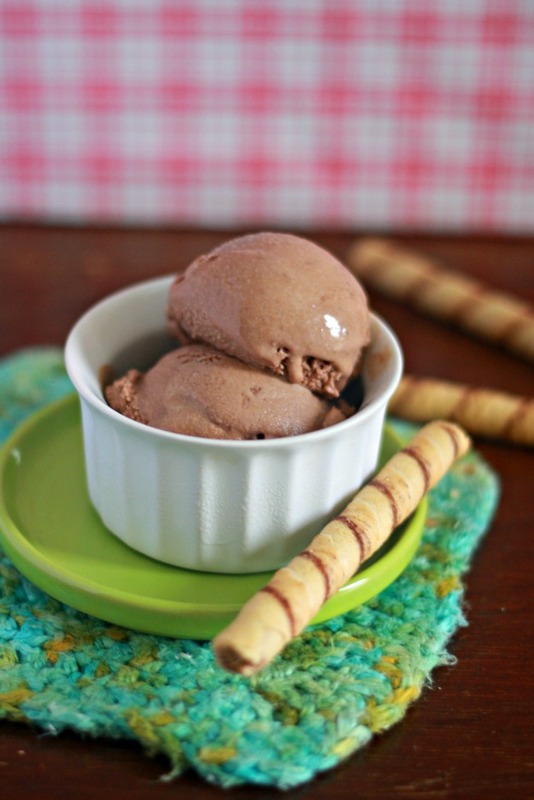 A few weeks ago I pinned a yummilicious ice cream recipe that inspired today’s brownie batter ice cream. A die-hard Coldstone Creamery fan, cake batter ice cream has my heart, so when I contemplated using brownie mix to flavor homemade ice cream, I’m pretty sure the hallelujah chorus sounded! 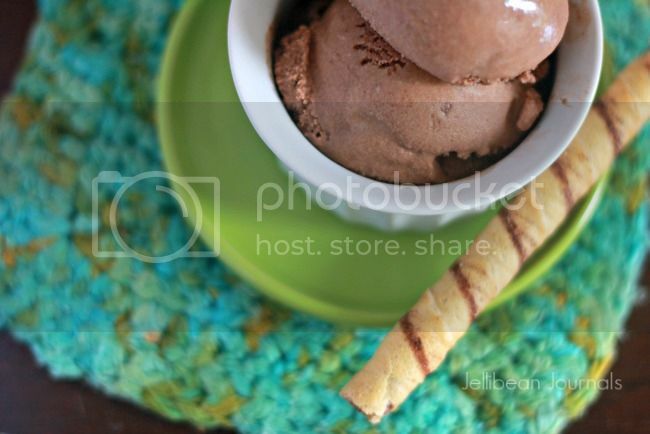 Did I mention that this ice cream boasts an entire package of brownie mix? 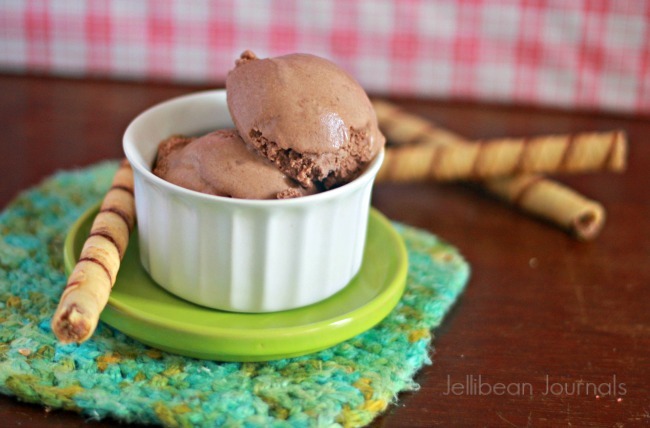 I’ve seen a few other brownie batter ice cream recipes floating around the web, but none seemed to have the oomph of rich, chocolatey brownie flavor I was craving. Admittedly, I started the homemade ice cream experiment using only half the brownie mix (this one’s my fave! ), but when I tasted it, the flavor resembled a chocolate malt, not brownie batter, and let’s face it, what would you do with half a package of brownie mix anyway? Logic then forced me to dump in the rest of the package and call it a day. Best. choice.ever. Something about the addition of brownie mix to this no-cook ice cream base made it harden up perfectly in the freezer. I’ve had quite a few ice cream “fails” in the past with ice creams made without the addition of egg yolks that have solidified beyond scoopability straight from the freezer. I suppose that’s a great way to keep me from sneaking heaping spoonfuls between meals, but I like a firm-yet-scoopable consistency, and this ice cream is spot on. 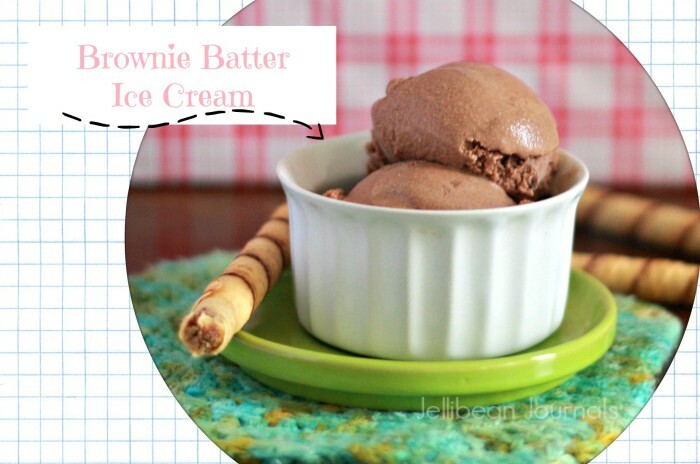 If you love brownie batter, this ice cream is a must! Combine all ingredients in a large bowl and whisk together (or use a mixer) until well blended, approximately 2 minutes. Refrigerate overnight and then freeze according to your ice cream freezer's manual. Pour into an airtight container and freeze until solid. Thanks so much! Your comment about the photos really made my day because I’ve been trying my best to improve my food photography recently. Thanks so much, Kim! I hope you love it as much as I did. Hope you find time to stir this together this week, Delina. It’s absolutely delish! Thanks for stopping by. Be sure to come back and report on the recipe too! Visiting from Time to Sparkle. Brownie batter ice cream!! Yes please, this looks delicious. I co-host Sweet and Savoury Sunday and would love for you to stop by and share this and other recipes with us. Have a great day! Thanks so much, Laura, for stopping by. I’m so happy you liked the recipe. Have a great week and thank you for the invite. I’ve been sitting on a box of brownie mix wondering what to do with it. Now I know what I’m making. Yum! My mouth is watering just thinking about it. Lori, I’d love to know how the batch turned out. Hope you loved them. In fact, I haven’t made these for awhile (haven’t been buying brownie mix lately) but now I’m craving them too! Jelli, my batch turned out wonderful. I’m just going to have to make sure I don’t keep the ingredients on hand too often. It’s a diet killer, but this is also a really good treat this summer I can use when my teen daughter and her friends are hungry. Woohoo! So happy to hear about your recipe success, Lori. It’s such an encouragement when readers come back to let me know how the recipes turned out. This brownie batter ice cream is definitely one of my faves, and if I didn’t have a hot fudge brownie pie in the fridge right now (recipe coming soon!) I’d definitely be stirring up a batch tonight. Thanks so much for stopping back to report on the recipe, Lori. When you say “….then freeze according to your ice cream freezer’s manual.” for the Brownie batter ice cream… do you mean to put the refrigerated mix in your (crank or electric) ice cream maker? (then put the results in Tupperware, then freezer). Yes, that’s it. I just mean to pour the chilled mixture into your ice cream maker and churn however your ice cream maker is meant to function. Sorry for the confusion, glad you asked! This recipe looks very small for my ice cream maker. Mine is a 6 quart electric maker. Should I quadruple this recipe? This recipe makes a quart, so I suppose that’s a good idea! Hi jelli! great recipe,but I have a question. The backing cocoa is tablespoons or teaspoons? Hi Ruben, sorry for the confusion. Generally speaking, “t.” means teaspoons and uppercase “T.” means tablespoons. Hope this helps you toward some kickin’ brownie batter ice cream soon! This is a recipe for someone getting sick or dying. You never eat raw flour or dough because it can contain salmonella. I hope you allow my comment to stand so others will know of the danger. Hi Kim, I understand your discretion and respect that. Having said that, I don’t fear eating raw flour and know generations of families have enjoyed baking cookies together and sampling the dough.